The 2015 Chevrolet Cruze stands out in the compact sedan segment thanks to its subtle styling, impressive range of engine options, top safety scores, and huge list of features. Drivers are finding that the Cruze delivers everything they require for a lot less than they expected to pay. Discover how the 2015 Chevrolet Cruze stacks up against the 2015 Kia Forte, and if you find yourself more intrigued by the Cruze, check it out in person at Sunrise Chevrolet. We are easy to find in Glendale Heights and only 10 minutes from Bloomingdale. If you value the quality of the driving experience but still want to save gas, the 2015 Chevy Cruze is the ideal car for you. The Cruze has an available turbocharged 2.0L diesel that puts out 151 hp and 264 lb-ft of torque while getting an impressive 46 mpg on the highway. On the other hand, the maximum amount of torque available from all Forte engines is 195 lb-ft, while highway fuel economy tops out at a lackluster 39 mpg. The 2015 Chevy Cruze is available at six distinct trim levels while the Forte offers only two. The Cruze is also available with a much longer list of options packages. Features that come as options include heated mirrors, voice controls, a suite of advanced safety features, and a nine-speaker Pioneer stereo. As you move though the trim levels, many of these features become standard. 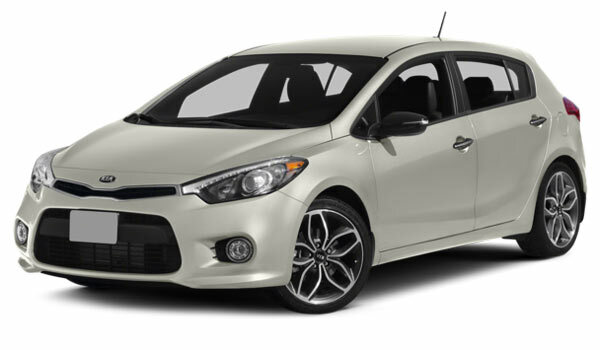 In the Kia Forte, features that come as options include underwhelming choices like rear-seat air vents, 16-inch alloy wheels, a basic navigation system, and HD radio. One exciting feature is exclusively available on Chevrolet vehicles and comes standard on all trims of the latest Cruze. In addition to enhancing safety and security, the OnStar system doubles as a 4G LTE wireless hotspot. Up to seven devices can simultaneously connect to on-the-go high-speed internet. You won’t find that level of connectivity in the Kia sedan. Sophisticated engineering and advanced safety features do a better job of protecting everyone inside the 2015 Chevrolet Cruze, which has a perfect five-star rating for front impact protection from the NHTSA.In comparison, the Forte only has a four-star rating for front impact protection from the NHTSA. Why choose the Cruze? It gives you real choices, from the way you like to drive to the features you want at your disposal. Find out just how much it has to offer by checking it out in person at Sunrise Chevrolet located at 414 North Avenue in Glendale Heights, IL. We are easy to reach off of Glen Ellyn Road, just west of the Brunswick Zone. Work with our no-pressure sales staff Monday through Saturday.